Have you ever eaten a Goo Goo Cluster? I'm not sure I had before traveling to Nashville. Sure, I've heard of them - maybe on the peripheral - but they seemed more like a candy from the past. 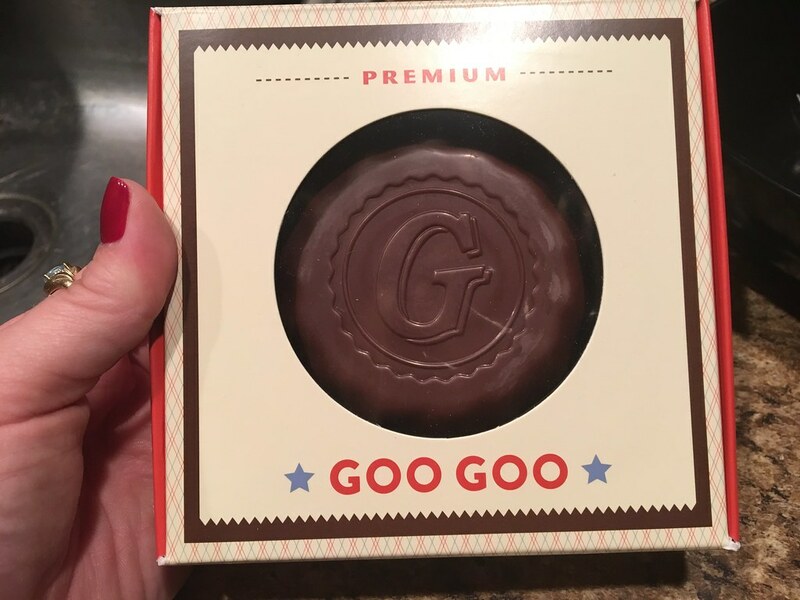 The Goo Goo Cluster was created in 1912 in Nashville and contains marshmallow nougat, caramel, roasted peanuts and milk chocolate. There is a Supreme version (which replaces peanuts with pecans) and Peanut Butter (which replaces the marshmallow nougat and caramel). I wanted to go to the mecca of the candy - a shop located in downtown Nashville. 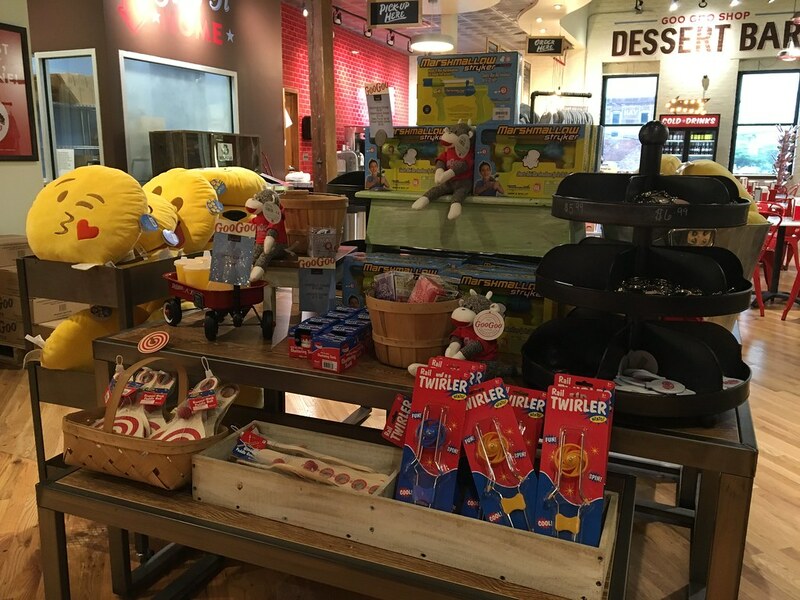 It has the three versions of the Goo Goo Clusters available for purchase, as well as other retro candies, merchandise and other fun goodies. 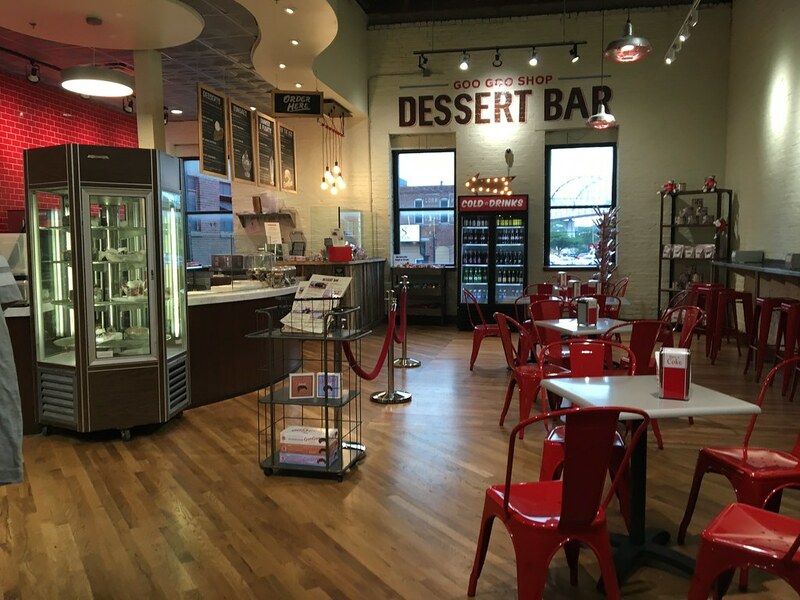 It also has the Dessert Bar, which serves up pies, cheesecakes, sundaes and shakes and floats. Since I arrived a little late, I didn't get the chance to order from the dessert bar, though "The Salty Southerner Shake," with vanilla ice cream, house-made salted caramel, fresh whipped cream and more caramel sounded amazing! 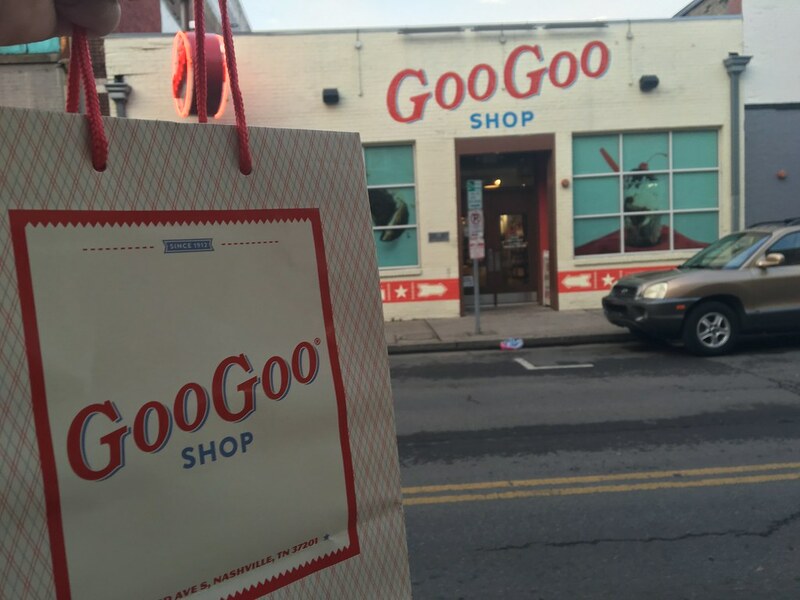 And, it is the only place to purchase Premium Goo Goos, which come in a variety of different flavors/ I purchased a "cookies and cream" one. It wasn't bad. Overall, this shop is super cute, with some great goodies!